Partly cloudy skies this evening will become overcast overnight. Slight chance of a rain shower. Low 47F. Winds light and variable.. Partly cloudy skies this evening will become overcast overnight. Slight chance of a rain shower. Low 47F. Winds light and variable. 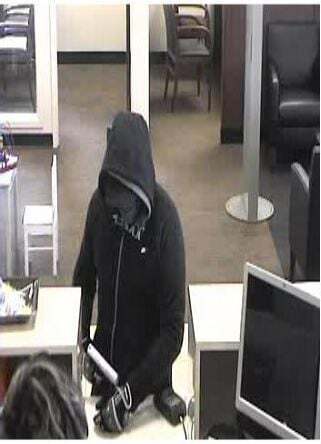 Moline Police officers are investigating a reported bank robbery this morning at the Chase Bank branch, 151 19th Ave., in Moline. This image from a surveillance camera shows the suspect in a robbery that took place Friday morning at Chase Bank, 151 19th Ave., Moline. 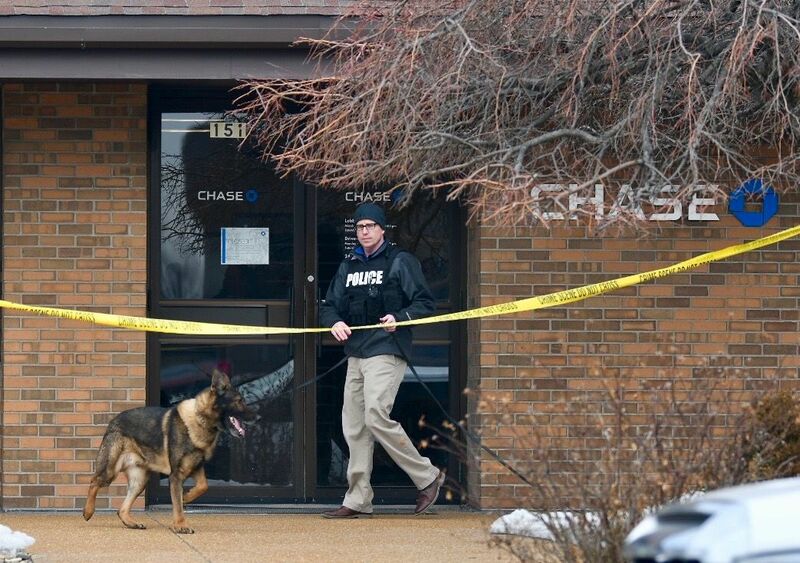 MOLINE — Moline police officers are investigating a bank robbery that took place at about 11:30 a.m. Friday at the Chase Bank branch at 151 19th Ave. According to a press release from the police department, the suspect is 5 feet 11 inches tall and weighs 170 pounds. The suspect’s face was covered with a scarf and sunglasses. The suspect was wearing a black hooded sweatshirt, gray or similar-colored pants, and dark gloves. The suspect approached two tellers separately and demanded money, the release said. The suspect displayed a handgun and took an undisclosed amount of cash from the tellers. The suspect then fled the bank in an unknown direction, the release said. No one was injured during the robbery, according to the release. Anyone with any information regarding this incident is asked to contact the Moline Police Department at 309-524-2140 or Crime Stoppers of the Quad Cities at 309-762-9500.